It’s taken me a long time, but I finally have a complete set of Marvel Transformers (Generation One) USA Comics. I have been searching for the last one for a very long time. It is the apparently impossible to find second printing (Direct Edition) of Transformers #4. Most of the single digit issues of Transformers had multiple printings. Issues #1, #2, #3, and #7 had three printings each, and issues #4, #8, and #9 had two printings each. Most of these have a notation on the first page that they are the second or third printings. However, issue #4 has no such notation. 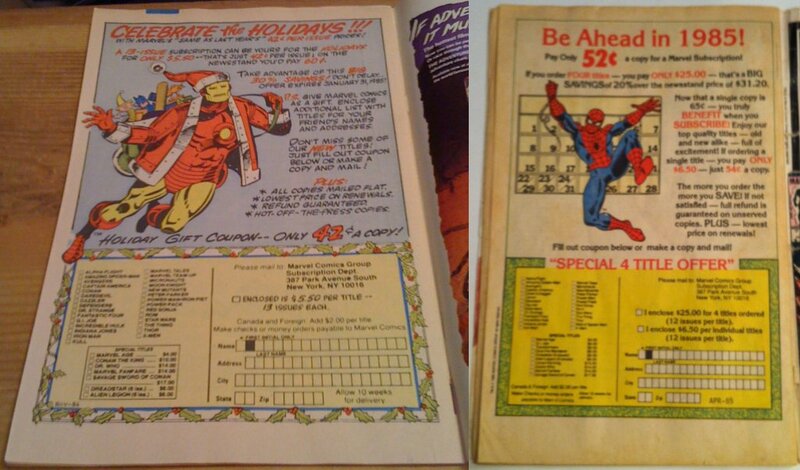 The only way you can tell the first and second printings apart is by the advertisements and the order page. 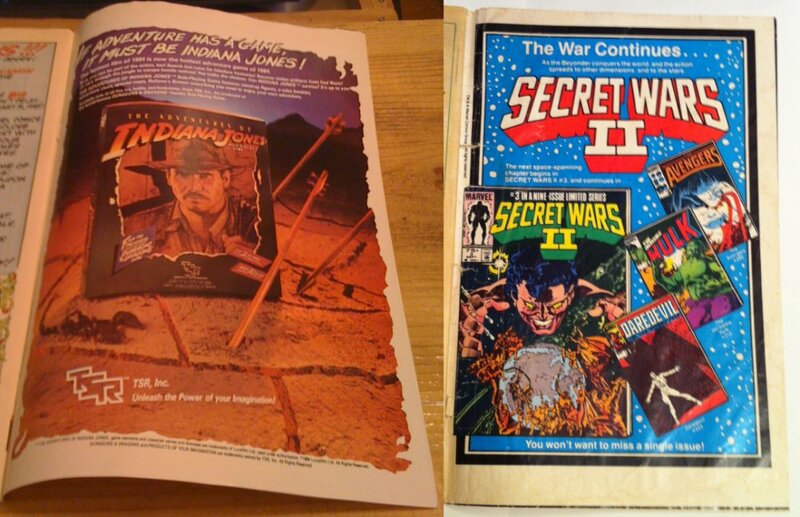 As you can see above the first printing (pictured left) has a November 1984 date on the order form, while the second printing has an April 1985 date. 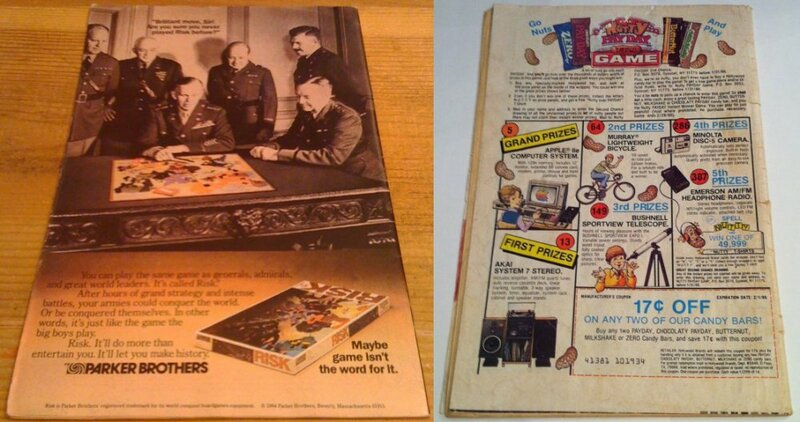 The advertisements, as pictured on the inside and outside back covers above, were also changed, as were all the other ads throughout the book. I found this purely by accident in an overpriced auction for three random issues of TF. In fact, I looked at the auction twice before I realized I was actually looking at the second printing. Finding this book gives me hope that some of the other odds and ends I’ve been hunting for will eventually turn up. As always, you can find over 9000 Transformers merchandise items and collectibles at TFMuseum.com. 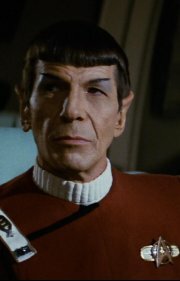 I have not done an update to the site in a while. Hopefully I will be doing a major update this winter with more than 1500 more items including a huge number of Age of Extinction items. 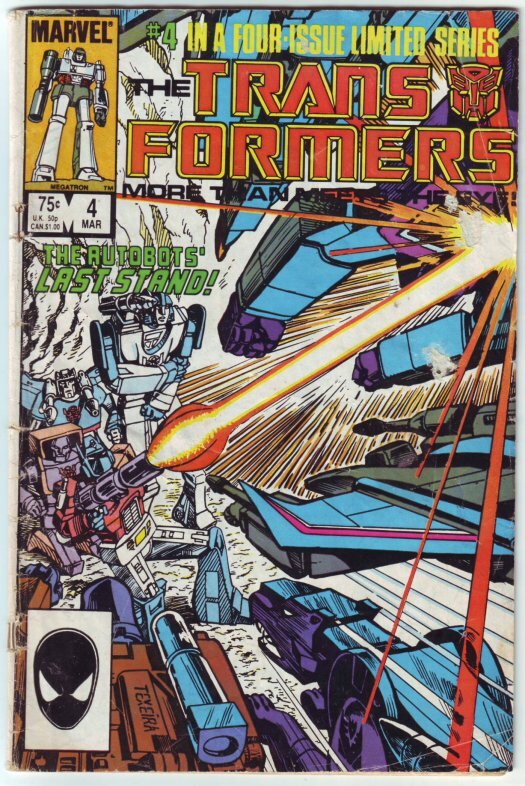 This entry was posted in Transformers, Transformers Artifact of the Week and tagged #4, Marvel Comics, Marvel Transformers #4, Marvel Transformers #4 Second Printing, Second Printing, Transformers. Bookmark the permalink.